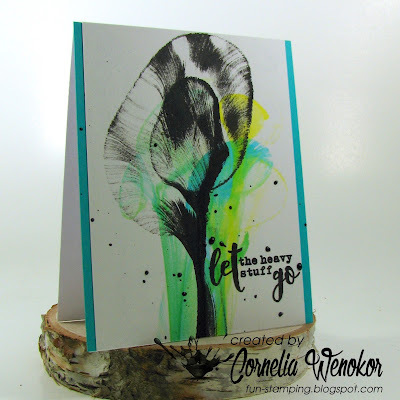 Connected through our love for card making, blogging and being from Germany we (Tanja from Little Art Cottage and I) decided to create a monthly project within predefined requirements. We are going to show you the result every 2nd Sunday of the month and this is our 41st transatlantic get-together! I wanted to try this now for quite a while, so I finally made myself do this for the Stamp Connection. 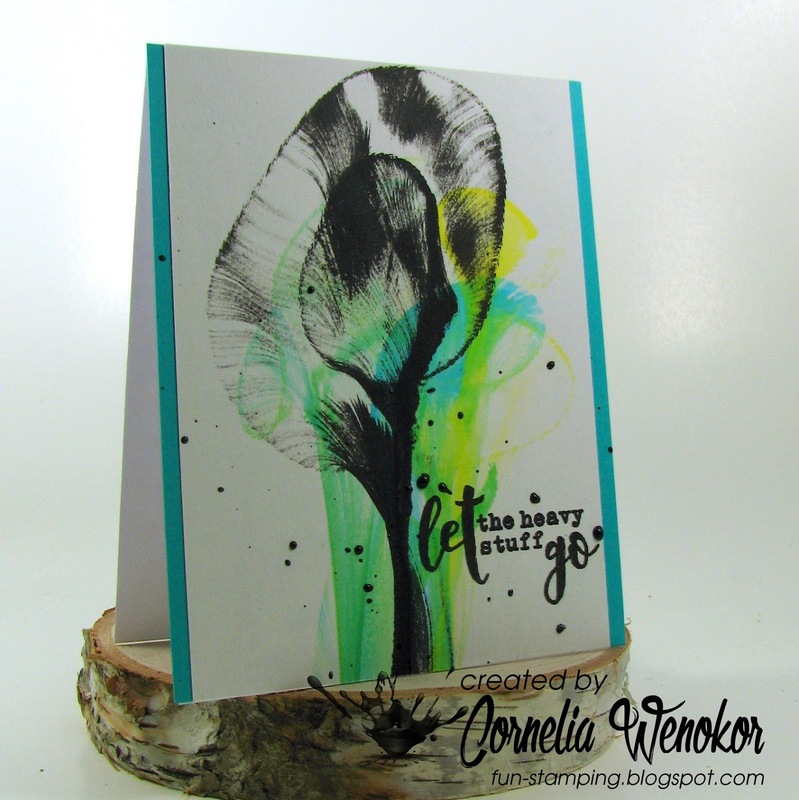 You take a string and color it with paint and then curl it up between two layers of paper and either use your hand to apply pressure to the paper or a book. THIS is a great YouTube video to watch. I made quite a few backgrounds, but this one was my favorite. Added a sentiment by STAMPlorations. Wow, das sieht genial aus!!! Der Effekt ist großartig!! Diese Technik kenne ich aus dem Kunst-Unterricht, da sind immer hervorragende Ergebnisse rausgekommen. Danke für den Hinweis darauf, das muss ich auch mal wieder machen. Jetzt geht es bei mir wieder los mit der Bastelei. Nähen ist nun nicht mehr angesagt, die Maschine in die Ecke verbannt. Oh goodie, goodie. You did this! I've seen this around the web a love the results. Using both the color and the black string is so impactful. You impress me every day with your bravery. Want to do this...soon. That is a cool twine art design. Something I have not tried. But I do love what you did with it. WOW das schaut irre aus, die Wirkung ist gigantisch !